The newest addition to Canon's XXD line might initially seem like a minor downgrade to the previous XXD cameras, but several new capabilities actually help make this a nice, well-featured camera that will appeal to many people who don't get caught up in whether or not this is a better camera than it's predecessor. Canon certainly made this camera for the price point and was careful to add just enough features to make it desirable over the T2i, but not desirable enough to compete with the 7D. In some respects though, it seems like a beefed-up version of the Rebel line (a "Super-Rebel") instead of a new addition to the XXD line. I have to say that I really like the feel of the 60D. Even though it no longer has the magnesium alloy body, it feels solid. In no way does it feel cheap. I have fairly small hands and the 60D feels like it was made for me. It's significantly lighter than the 7D and feels like it would be much more friendly on long hikes. The 7D feels much more robust; however, the 60D feels much more "comfy". It is definitely bigger in size than the T2i, but the angles and design of the camera have a nicely updated feel to them that makes it seem like you are getting a much more substantial camera. The articulating screen was also done very well. My initial worries that the screen would feel cheap and break easily were immediately relieved after using it. The hinges are very solid and feel almost stiff to the point where you are comfortable with it staying right where you want it. It also is very flush with the rest of the body and offers little space in between. By comparing these features, it's easy to see that the 60D fits well in the price point directly between the T2i and 7D, but of course, a large segment of previous 40D and 50D owners hoping for a true successor that isn't watered down to a certain price point will still undoubtedly be disappointed. It's easy to see in comparing the 60D to the 7D and also to Nikon's newest offerings that Canon chose to limit functionality merely so that 60D sales didn't interfere with the 7D. In fact, if you are not completely entrenched in the Canon camp, I would also suggest looking at the new Nikon D7000. 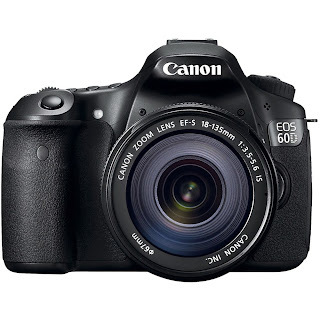 It looks like a spectacular camera for not much more than the 60D. I have not used it nor will I, so I can't comment on whether it's a better choice or not. Even so, the quality of the 60D and new functionality offer enough new aspects that many customers will surely be happy with it. The articulating screen offers a way to attain tough shots that would have previously demanded extra equipment or odd contortions to reach. It also gives a great new avenue for video capture. Eye-fi wireless transfers work well and help out on those lazy days where you just want to set your camera down and have the work of transferring photos be done for you. Much of the in camera post-production comes off as being a little "gimmicky" to me, but having the option to add effects and process photos definitely doesn't detract from the camera. And many people who don't do much of their own post-processing after transfer to a computer will probably find the in camera RAW conversion and creative effects to be a nice addition. To me, it really came down to one major factor though: autofocus. I tend to do a lot of shooting involving fast moving subjects, so autofocus for my photography is key. The T1i and T2i were disappointing in this respect. 9 points with one cross-type in the T1i/T2i is respectable, but I found that I really could only rely on using the center point in AI servo mode to get many speedy subjects in focus. I purchased a 7D later, and was blown away by the accuracy. The options of using extra points for expansion, using autofocus zones, having 19 full cross-type points, superior subject tracking, and even the option for narrowing the points in spot autofocus really opened up new areas of photography for me. I get about 10x the amount of usable shots than I would with the T1i and T2i. The 60D isn't THAT good, but it is still much better than the T1i/T2i. 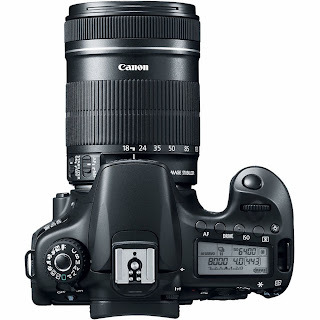 In fact, just like with almost everything else about the camera, it's just about right in between the T2i and 7D. Autofocus is fast and accurate, but there are still moments where subjects just move too fast and unfortunately, the 60D doesn't have the capabilities of the 7D. If you are deciding between the 7D and 60D, this is the area you should really look at, because this is the real difference between the 2 cameras. I chose the 7D, and then decided to give the 60D a try just to see if I made the right decision. I am happy with my 7D, but the 60D was no slouch. 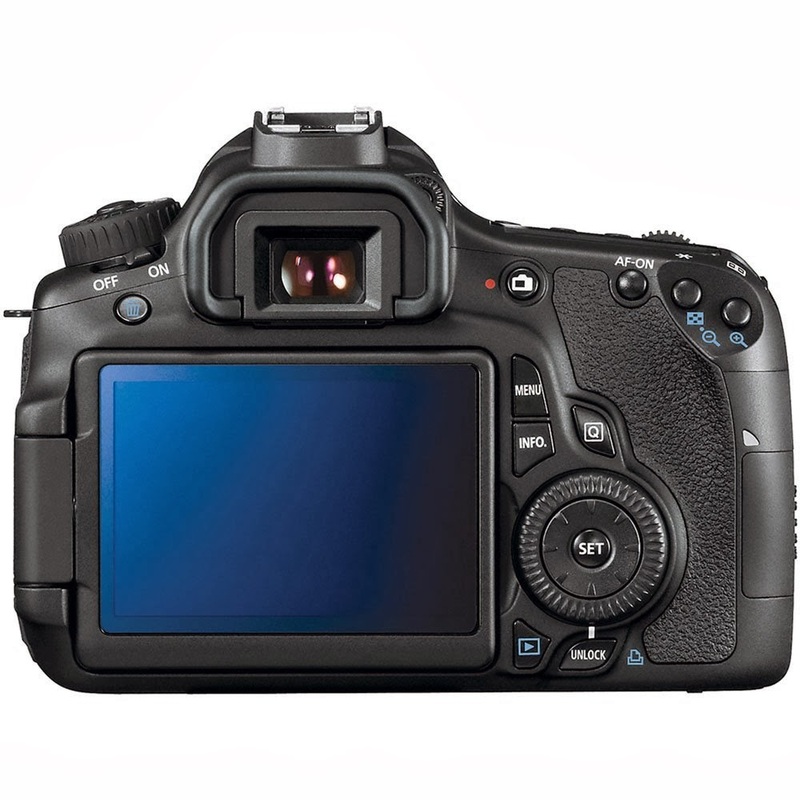 In my honest opinion, I think this is a huge sticking point for 40D and 50D owners though. The autofocus system needed to be updated from the previous 2 XXD editions. It has the same 9 cross-type points as the 40D and 50D did before it, and same functionality. To be a good upgrade for previous XXD users, it didn't have to be as good or better than the 7D, but it would have been nice for it to be better than the previous 2 models. Removing the magnesium alloy body and lens microadjustment really comes across as a slap in the face to some users who valued those aspects. I have to say that the body is much lighter, doesn't feel significantly less sturdy (even though it probably is less sturdy), and I've never needed to use lens microadjustment though, so I'm not overly upset about those aspects. I am not thrilled about the "non-update" of the autofocus system though. Now that I have handled and used all 3 cameras currently in Canon's mid-range lineup, I can definitively say that they are all stellar cameras, but just made for different segments of the market. The T2i is an amazing starter camera and takes great photos for those who want to save a little extra money by going without some of the features they might not use. It might be the best budget option for those who don't take many action shots. For an extra few hundred dollars, the 60D adds some intriguing new features and seems to be aimed at the people who want a slightly higher-end camera than the T2i, but aren't ready to shell out the money for the 7D. It's a great compromise, and to me, the main thing you are missing out on is superior autofocus capabilities. The 7D is more aimed towards the pro-sumer market who want/need a faster autofocus and overall faster, more rugged camera. It's hard to go wrong with any of them, but the 60D offers a great blend of features from both the T2i and 7D along with new features of it's own for a price that won't completely break the bank. It seems to have accomplished everything it needed to do, except for one: giving the 40D and 50D owners an option for upgrade aside from the expensive 7D. If the 60D had kept the magnesium alloy body, lens microadjustment, or even just had a slightly better AF system compared to the 50D, I could easily give this camera 5 stars. As it is, I can only give it 4 stars because it's a wonderful camera for a certain segment of customers looking for a new camera, but completely isolates another loyal customer base looking for their beloved XXD line to continue. With the release of the T4i, Canon's camera playing field has certainly changed. The minor changes to the T3i didn't warrant much more discussion on the 60D vs Rebel DSLR's than was already posted with the T2i, but the T4i brings some new interesting features to the table, puts picture quality and capture characteristics on par with the 60D, and in some respects ends up being a more appealing camera. Perhaps the most interesting new features on the T4i are that it now has autofocus during video while using Canon's new STM lenses and has a touchscreen display. For those who want or need autofocus while shooting video, this is a big selling point for the new Rebel instead of the 60D. Granted, it's not going to live up to the snappy autofocus you get when not using live-view mode or that when using specialized video camera's, but Canon did a great job with it over all. In my mind, it is a desirable feature to have access to even if you prefer to manual focus video most of the time. The T4i also upped the Rebel line's bar to include the 5 fps and 9 cross type autofocus points already found on the 60D. So back to the question at hand though: If you are choosing between the 60D and the T4i, which one do you go for? The 60D still has some major advantages in my opinion, and it really comes down to the better camera body of the 60D vs. the new video features of the T4i. With the 60D, you get the large dial on the back of the camera for rotating through images and selections and you also get the top LCD. The 60D still has a better, brighter viewfinder and can shoot at 1/8000 of a second opposed to the max 1/4000 of a second that the T4i can do. If those aspects don't concern you and you desperately want video autofocus, go for the T4i instead. It's a great camera. 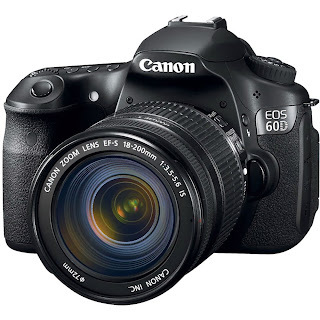 If, on the other hand, you would like a slightly more professional body and can live without video autofocus, the 60D is a great choice too. My personal choice still goes to the 7D if you can afford the upgrade though - the autofocus and 8 fps on it really put it in another level.